Some of the classical retro stuff is ever popular and despite the improvements and advancement of modern technology they still have a place of their own as cherished collectibles. Records are a perfect example of this where most of the individuals still hold old classics and retro hits with them. Record players though outdated are still valued today and are still produced such that you can indulge in the record collection that you have. You can find a wide range of modern manufactured turntables or record players online and with the increasing popularity of old records sold as vintage the list of buyers is ever increasing. If you want to own one you must understand the different types to know which is the best one to buy. 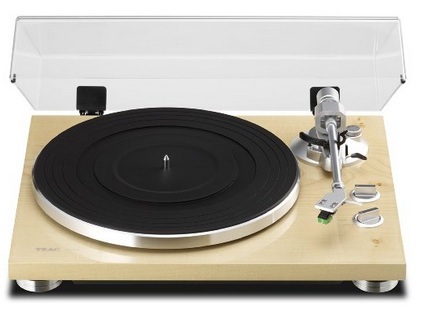 A lot factors must be considered before you buy a record player like budget, preferences, etc. Today you can find turntables in every budget and you have the vintage record players and the modern record players where the former is quite expensive. Depending on the use of the record player whether you will make most use of it or not you can buy the record player accordingly. It is also very important to determine the kind of records you will be playing on the turntable where basically there are three types the 78s, 331/3s and 45s that are based on their RPM or revolutions per minute. Make sure that you buy a player that is compatible with all three types of records. The different types of record players that are available are idler-wheel drive; belt drive; direct drive turntables and digital record players. The digital record players are the modern makes that are designed to be compatible with all types of record and they also come as modern designs or vintage ones. They are easy maintenance and also not complicated as the older varieties. The sound quality is also better in such digital ones. The ease of using, the ease of maintaining the record players and the quality of the audio is emits are important features to consider. When you know what you are looking for in a record player you will be able to choose the best from the lot. They can be easily found online where you can decide on the type you need based on your budget and also your personal needs. If you are keen on the quality of the sound you can opt for record players with speakers that will enhance the sound produced by the record player; most of the digital record players have built in speakers for best sound effects. Whether you are a collector of old records or are keen on playing vinyl records, it is time to introduce you to the instrument that is gaining popularity without getting extinct which is the turntable or record player. Check out the record player for sale today!